Rated 5 out of 5 by JulzCat from A Must Have For Nancy Drew Fans! Even better than the first Nancy Drew Dossier game! You have more options, and there's a great deal more game play. A must have for fans of the Nancy Drew game series, as they use the original Nancy Drew, and there are many character links to other games (even the animals in the lab were featured in other Nancy Drew games). Very fun!! Rated 5 out of 5 by writer3 from Great game! This game was fantastic. Good storyline, scenery, and method of play. Pretty addictive. Rated 5 out of 5 by arnold1049 from FOUND A TREASURE TROVE This is the first Nancy Drew game I have ever played and I was very impressed. The game had a great storyline and was very challenging. In fact, I did not score enough points to open up the extra material, a first for me in any game. Now I have to go back and play it again to see if I can do better. The puzzles were very challenging. I found the "facials" puzzles the hardest, although disarming the bombs was no picnic either. I had to refer to the walkthrough once for one puzzle. There are no "skip" buttons, so you have to keep trying until you get it right. I probably should have referred to the walkthrough more often, as I would have been quicker through the game and maybe would have attained the score needed to get to the bonus material. Although it is classified as a HOG, it is definitely not like any other HOG I've ever played. Great graphics, challenging puzzles, interesting storyline; what else could you ask for. I will be buying more Nancy Drew games, and it looks like there are tons of them out there. 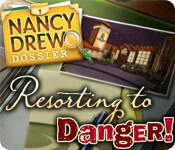 Rated 5 out of 5 by pinkspott0 from Great addition to the new spin on the Nancy Drew mysteries. I loved lights, camera, curses. I recommend playing that one first even though they are both good, they are subtle hints to the previous case and it is easier to pick up the technique. This game follows the easy pairing of items, I agree with some reviewers that there is less freedom because there is more focus but this makes the cases much quicker to complete-I completed it in 7 hours. This is much more focused on hidden objects, and I don't particularly like these game styles but the innovative storyline makes me compelled to complete the game. The only problem is that the storyline is a little too obvious; I guessed it halfway through the game. Rated 5 out of 5 by Polisuco from Amazingly fun game! This is the first Nancy Drew game I have ever played, and, although it's very different from the most famous, I just loved it! It is incredibly fun, entertaining, has a great story and very funny characters, not to mention the beautiful artwork! Pros: - Really beautiful artwork, with great colouring. The décor of the Redondo is beautiful, too; - Beautiful and soothing soundtrack; - Funny and memorable characters! My favorites were probably Cassidy and Helfdan; - The voice-overs and the script are just great! Better than most movies out there nowadays, no doubt about it; - Fun and very original gameplay. You still had to look for objects, but you had to find its match. It doesn't sound too great, I know, since that's what the gameplay mainly consists of, but play it and you'll see; - Great puzzles! My favorite was the one in the garden, where you had to put the right objects in various statues of Greek gods and goddesses; No cons, whatsoever. However, I think the game could have been a little longer. Sure, there were a lot of chapters, but some of them were really short. Overall, this was an amazing and different experience and I really became engaged in the story. I will definitely play it again someday! If you're looking for something different in a casual game (which is rare), try this one and I sincerely hope you'll like it as much as I loved it! Rated 5 out of 5 by MsA59 from Enjoyable! This was the first ND game I've played. I found it quite interesting from beginning to end. It has very nice sceneries which attracted me to the game. 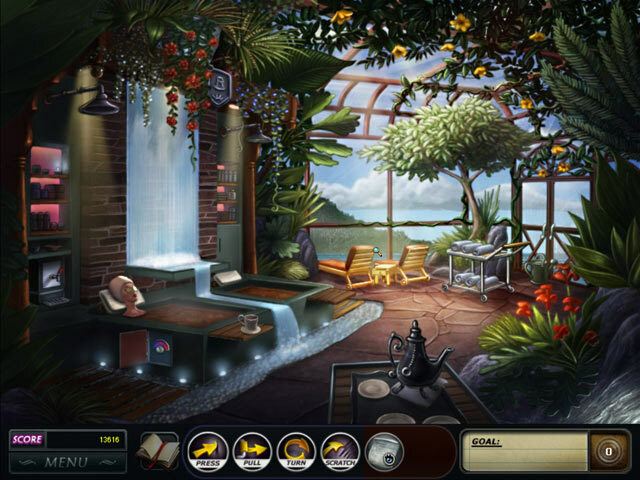 I was use to playing the junky hidden object games and was glad this one didn't include them. 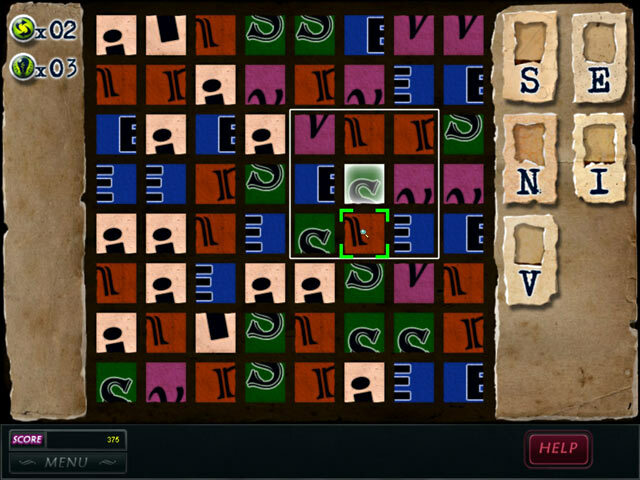 Rated 5 out of 5 by Hamza23 from Very nice game! A very nice long game. Good storyline and I didn't have to turn out the music. The mini games were excellent to play also. I hope the following game 'The ship of shadows' will come out soon! Rated 5 out of 5 by HoudiniCats from Just too fabulous, darling Great game....snazzy graphics, excellent voice-overs...lots of fun. Terrific dialogue that's witty and well-done. 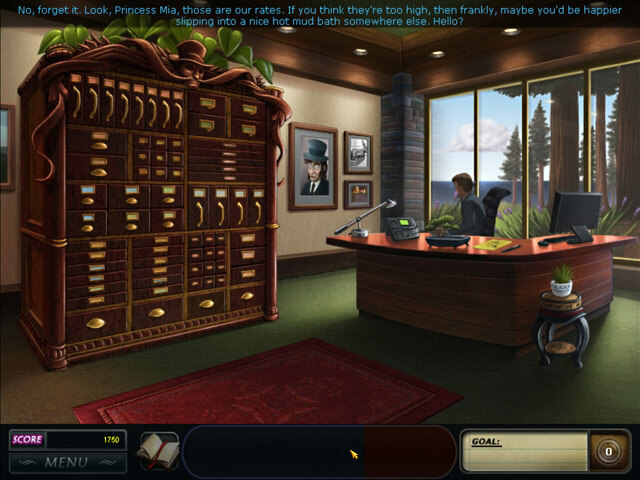 The dossier series combines the best of hidden object and adventure play without the boring repetition some games are subject, too. Her Interactive, and this game, are top-notch! Rated 5 out of 5 by Laflamme from An explosive Beauty Resort I really enjoyed Lights, Camera, Curses! already so it was a no-brainer to buy it when I got another credit. It did not disappoint this time either. The case at the beauty farm follows the same principle as the first dossier: Find all the clues in a picture, then match up logical pairs. Match chains for more points, break the chain and you start with 50 points again for the next match. Strewn in are some mini games, which can be replayed when you finish the game: defusing bombs, applying a beauty mask, match letters and match molecule colours. In general you get enough text hints to know what to match up; if you are helpless finding clues, you get two hints per completed scene, which show you where to find objects. The defuse minigame can be hard due to a low time limit, but you can replay it even if the bomb detonates. Hard passages in the game: - Connect phone callers (had to start the game 10 times before I made it through) - find Greek mythology pairs in the labyrinth (needed Wikipedia for that) Verdict: Top notch voice acting, and they try to do emotions in the little pictures. Bought it, did not disappoint. Went back to play some minigames for fun.